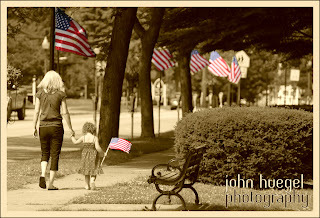 Today I had the honor of photographing a family whose husband/father is deployed in Iraq. As member of Operation Love: Reunited, I support the families of service men and women before, during and after deployment by donating sessions and photographic products. I was especially glad to be able to conduct this family’s first session on July 4th. 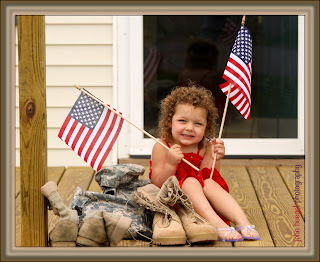 The young daughter was very supportive of her daddy and helped us create some wonderful memories to share with him while he is deployed overseas. Today, I remembered: Independence Day is a time to reflect on the sacrifices that our military have made and continue to make, to ensure that our country and others have the continuing opportunity to be free. It was an honor to support this military family while they serve our country.